Third-person perspective action game with RPG features and a sequel to the warmly-received production created by Cavia in 2010. The second installment was created by a different developer – Platinum Games known for the Bayonetta series. Nier Automata is an action-adventure game released on PC and PS4. It is a sequel to Nier that was released in 2010. The project was developed by PlatinumGames, creators of Vanquish and Bayonetta series. PlatinumGames did not created the original game, but project director Taro Yoko also directed the first Nier and the game called Drakengard. Thanks to that, despite the change of developer team the title retained the atmosphere of its predecessor. Nier Automata for PC and PS4 takes place in distant future. The vision of these times presented by the designers of the game doesn’t look optimistic. An invasion of alien mechanical race decimated the humans on Earth and the survivors hid in moon bases. The main campaign tells the story of a female android named YoRHa No.2 Type B constructed by the inhabitants of Moon. The female warrior is sent to the Earth in order to retake the planet from the enemy. 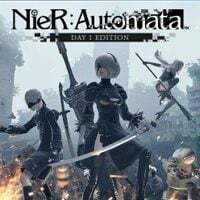 Nier Automata released on PC and PS4 is a dynamic action-adventure game in which the action is presented from third-person perspective. The gameplay focuses mostly on fights with hordes of enemies. The title has very advanced battle system and during the battles one uses various techniques, weapons and spells. From time to time the player will have to face powerful bosses as well. The gameplay also consists of adventure game features, including occasional riddle solving and explorative sections.